Our friend, Ranger Mannie Gentile, has THE coolest blog post ever on his blog this weekend. If you’ve ever wondered about the fight for the Sunken Road at Antietam, I guarantee you that Mannie’s post will answer those questions forever. Heros Von Borcke was a larger-than-life figure. In a tribute to diversity, two Louisianans are headed to Poland to honor a Prussian aristocrat who fought for the Confederacy almost 150 years ago. Chuck Rand, of Monroe, and Michael Bergeron, of Baton Rouge and Lake Charles, are en route to Eastern Europe to help dedicate a new U.S.-supplied military gravestone for Col. Johann August Heinrich Heros von Borcke, a soldier who served with the South in the 1860s and became a heroic figure among its cavalry corps. A 6-foot 4-inch prankster who fought with enthusiasm, and who almost could have been taken from an Arnold Schwarzenegger movie, his wounding in 1863 just before the Battle of Gettysburg is thought by some historians to have changed the course of the conflict. 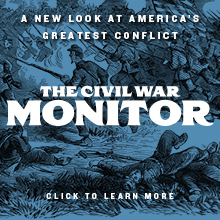 “It is interesting that events that occurred in North America over 140 years ago not only still reverberate here but also have echoes in Europe,” said Rand, who is the national chief of staff for the Sons of Confederate Veterans. Heros von Borcke is due his tombstone through a change in U.S. law that has recognized Confederate veterans as U.S. soldiers since the early 1900s. While the government provides tombstones for former Confederates, they are different in design from traditional gravestones for other U.S. soldiers in that they have a pointed, rather than a rounded top. The gravestone dedication and graveside memorial service, which will be open to the public and the media, will begin at 10:30 a.m. in Gyzin, also called Giessenbrugge. Due to wars and boundary changes in Europe, the historic residence of the Von Borcke family was once in Prussia, a part of old Germany, but now is in modern Poland. Von Borcke’s original tombstone was destroyed by the Soviets after they occupied the region following World War II. Rand and Bergeron will represent the Sons of Confederate Veterans at the event. The national heritage group has another Louisiana connection through its national commander in chief, Shreveport Charles McMichael. Rand and Bergeron will present the Von Borcke Family with a certificate from McMichael noting their ancestor’s service. Von Borcke was an imposing presence in the Confederacy, as he was a top aide and confidante to James Ewell Brown Stuart, the famous cavalry leader. A signal character in the June 9, 1863, battle of Brandy Station, the largest cavalry encounter of the war, he was known to give advice and guidance to Stuart. But Von Borcke was badly wounded in the neck at the Battle of Middlesburg 10 days later. Stuart and his cavalry were absent from the July 2-4 Gettysburg battle at crucial times, and some historians believe that had Von Borcke been at Stuart’s side, he might have given Robert E. Lee and the Army of Northern Virginia better service when most needed. “Upon returning to Germany, Col. Von Borcke wrote a book titled ‘Memoirs of the Confederate War for Independence,'” Rand said. Von Borcke, who died in 1895 at the age of 60, flew the Confederate flag from the battlements at his ancestral castle and even named his daughter Virginia in tribute to his service. The U.S. War Between the States is a topic of interest in Europe and other parts of the world, with re-enactors active in Germany, Poland, Australia and South America. In addition to the Sons of Confederate Veterans and the United Daughters of the Confederacy, a company of German Confederate reenactors, Hampton’s Legion from Berlin, will fire a salute in honor of Von Bocke, with attendees from units in Germany, Sweden, Spain, Switzerland, Italy and other countries looking on. 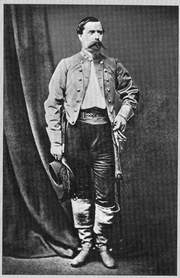 von Borcke was a fine soldier who left his mark on the Confederate cavalry. When he was wounded at the June 21, 1863 Battle of Upperville, Stuart, his best friend, was greatly worried for his friend’s safety. I am very pleased that von Borcke is finally having his grave marked again, and that his service in the Civil War is being honored. Since I’ve profiled a Union cavalry officer who was an alumnus of Dickinson College, fairness requires that I similarly profile a Confederate Dickinsonian. Richard Lee Turberville Beale was born into a prominent Virginia family on May 22, 1819. Young Beale attended private schools in Westmoreland County, Northumberland Academy and Rappahannock Academy, Virginia. He enrolled in Dickinson College in Carlisle, Pennsylvania with the class of 1838 and was elected to the Union Philosophical Society. He later left Dickinson and then completed his undergraduate studies at the University of Virginia in 1837. He was admitted to the bar in 1839 and opened a private a practice in his hometown of Hague. Beale also entered politics. 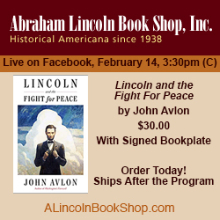 Active in the Democratic Party, he was elected to a serve in the Thirtieth United States Congress in 1847, was a member of the 1851 Virginia constitutional convention, and served as a Virginia state senator from 1858 to 1860. He was married to the former Lucy Brown, and had several children. Soon after the outbreak of the Civil War, in May, 1861, he was commissioned a lieutenant of cavalry in Lee’s Light Horse, a provisional unit which was later organized into the 9th Varginia Cavalry, known as “Lee’s Legion.” The unit was named for its first colonel, William H.F. Lee, the second son of Robert E. Lee. He was soon promoted captain and then major, was put in command at Camp Lee, near Hague, on the lower Potomac, where his intelligence and excellent judgment were of much value. Beale had achieved the rank of major by October 1861. In 1862, he was named lieutenant colonel of the 9th Virginia. When Lee was promoted to colonel in the fall of 1862, Beale was promoted to colonel of the 9th Virginia. In December, 1862, he attracted attention and much favorable comment by a bold expedition into Rappahannock county, in which the Federal garrison at Leeds was captured, without loss. He served in all the cavalry battles of the Army of Northern Virginia including Fredericksburg. On April 16, 1863, he won the praise of J. E. B. Stuart for his heroic service in meeting and repelling the threatened raid of Stoneman’s cavalry division, and during the renewed movement by Stoneman at the close of the month, he was for a week in almost constant fighting, his regiment everywhere behaving valorously and capturing many prisoners. At the Battle of Brandy Station, he led the 9th in a brilliant charge in which Gen. W. H. F. Lee was wounded and Col. Solomon Williams of the 2nd North Carolina Cavalry was killed. Beale also played a significant role in Jeb Stuart’s ride during the Gettysburg Campaign. Late in life, when he wrote a history of the 9th Virginia Cavalry, he recalled with affection seeing his alma mater during J.E.B. Stuart’s brief occupation of Carlisle on July 1-2, 1863. His son George W. Beale served as an officer in the regiment. He was wounded in a skirmish at Culpeper Court House on September 13, 1863 and spent three months on convalescent leave. He returned to duty in January 1864, assuming command of his brigade and was eventually named a brigadier general. In March, 1864, having been stationed on the Northern Neck, he made a forced march to intercept Col. Ulric Dahlgren and his Union raiders, and a detachment of his regiment under First Lieut. James Pollard, Company H, successfully ambushed the Federals. Pollard, aided by other detachments, captured about 175 men and killed Dahlgren. The papers found upon Dahlgren’s person, revealing a design to burn Richmond and kill President Davis and cabinet, were forwarded by Colonel Beale, through Fitz Lee, to the government. A correspondence with the Federal authorities followed, in which they disavowed all knowledge of such a design. He participated in command of his regiment in the campaign from the Rapidan to the James, was distinguished in the fighting at Stony Creek, and toward Reams’ Station, in July, capturing two Federal standards; and in August, upon the death of Gen. John R. Chambliss, Jr., was given command of Chambliss’s brigade. February 6, 1865, he was promoted to brigadier general, and in this rank he served during the remainder of the struggle. Official confirmation of his rank came in January, 1865. Ironically, Beale was a reluctant soldier who chafed against the pettiness and administration of regular army life and who regularly threatened resignation. He offered once to command guerillas or even revert to the rank of private. His superiors always persuaded him to remain at his post. By the end of the war, he had become an outstanding commander of cavalry. Following the war he went home to Hague, Virginia to practice law and involving himself in editing and local politics. 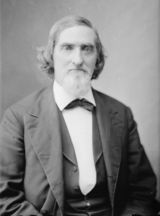 He decided to run for Congress again and was elected as a Democrat to finish the term of fellow Virginia cavalryman, Beverly B. Douglas, who had died in office. He was reelected to a full term in the next Congress and served from 1879 to 1881. After leaving Congress again, he returned to his practice and the writing of a history of the Ninth Virginia, which was posthumously published by his son George. Richard Lee Turberville Beale died in Westmoreland County on April 18, 1893 and was buried in the family plot at Hickory Hill. He was seventy-three years old. Here’s to forgotten Confederate cavalry and Dickinson College alum Richard L. T. Beale. Today, I am going to profile a forgotten cavalryman named Bvt. Brig. Gen. Thomas Jefferson Jordan, who, like me, was an alumnus of Dickinson College, one of a number of notable cavalry officers who graduated from Dickinson. Thomas Jefferson Jordan was born in December 3rd, 1821, to Benjamin Jordan and Mary Crouch on the family farm, Walnut Hill, in Paxtang, Dauphin County Pennsylvania. The family was of Scottish origin and came to this country in 1720, first settling in King and Queen County, Virginia. In 1742, his great-grandfather, James, left Virginia, and with his slaves came to Pennsylvania, where he bought a large tract of land on the Susquehanna River, near Wrightsville, York county. His grandfather, Thomas Jordan, was born in Cecil County, Maryland, and married Ann Steele, daughter of Capt. William Steele of Drumore, Lancaster County, PA and widow of Robert Dickson. Benjamin Jordan was born near Milton, PA in 1779 shortly before the family fled due to Indian attacks. They later lived in Hopewell, York County, PA. During the war of the Revolution the grandfather was a paymaster with the rank of Major, and served as such during the entire war. The father married Molly, the only daughter of Edward Crouch, a Captain in the Revolutionary army, she being a granddaughter of General James Potter, of Pennsvalley, also a soldier of the Revolution. Jordan was paymster for General Potter in the Pennsylvania militia and fought with Potter in Chester County, PA.
Benjamin Jordan’s mother had three brothers that eventually became generals in the Revolution and War of 1812. His aunt, Rachel Steele, married Jacob Bailey, brother of Francis Bailey, and the Baileys and Steeles were involved in the printing trade for multiple generations with Francis Bailey printing newspapers, almanacs and becoming the official printer for Continental Congress, and a close friend of Benjamin Franklin and witness to Franklin’s will. Benjamin’s half brothers, William and Robert Dickson, were associated with the Lancaster Intelligencer and Benjamin had apprenticed there as a young man before going on to a career in politics . He was a friend of Simon Cameron, Lincoln’s first Secretary of War and was also an investor in the Bank of Middleton with Cameron. Thomas Jefferson Jordan spent first fourteen years of his life in the local country school, along with the other farmers’ boys, remaining enrolled there until in the summer of 1839. In December, 1839, he enrolled in the Law Department at Dickinson College in Carlisle, Pennsylvania, then under the leadership of its founder, Judge John Reed. He attended the College for the following two years and in February, 1843 was called to the Dauphin County bar in Harrisburg and opened a practice. He practiced law and ran a lumber business in Harrisburg until the Civil War broke out. On April 17, 1861, the day after Fort Sumter fell, Jordan was commissioned as aide to Maj. Gen. William Hugh Keim, who was raising volunteers in Pennsylvania. He served Keim well. Jordan carried the first news of the riots in Baltimore to Bvt. Lt. Gen. Winfield Scott, and then commanded a brigade in the Shenandoah Valley. Jordan first saw action with Keim at Falling Waters in early July 1861, gaining valuable experience against the Virginia forces of Brig. Gen. Joseph E. Johnston. At the end of that campaign, Jordan was mustered out and received a new commission as a major. He was ordered to assist Col. Edward C. Williams in the recruiting and organization of a cavalry unit that became the Ninth Pennsylvania Cavalry in October 1861. This regiment was also known as the “Lochiel Cavalry” and as the 92nd Regiment of Pennsylvania Volunteers. With Jordan commanding its Third Battalion, the 9th Pennsylvania Cavalry was deployed to the Cumberland Valley and then was sent west to the column commanded by General Don Carlos Buell, then at Louisville, Kentucky, where it arrived in November, 1861. The regiment saw action in Kentucky and Tennessee in early 1862. At Tompkinsville, Kentucky, on July 9, 1862, a superior force of Confederate raiders under command of the dashing Brig. Gen. John Hunt Morgan surprised Jordan and three companies of the Third Battalion. Jordan organized a fighting retreat but elements of the rearguard and the major himself were captured by Morgan. He was sent to the Confederate POW camp at Madison, Georgia, and was later transferred to Richmond’s Libby Prison. Once a prisoner of war, Jordan came under attack for alleged ill-treatment of civilians in Sparta, Tennessee the previous May and was moved from Libby Prison to Castle Thunder Prison to face charges. However, a subsequent investigation determined that his unit had only been in Sparta for a few hours and that the charges were based on Jordan’s demand to the women of the town quickly to prepare a meal for his men. He was exonerated and subsequently exchanged in December 1862. Jordan returned to his regiment in January 1863. In the meantime the Colonel had resigned, and the Lieutenant Colonel was terminally ill. Jordan was, accordingly, appointed Colonel. At Shelbyville, Tennessee, on June 9, 1863, he led the charge on the left, a most gallant action, which scattered the enemy and put him to inglorious flight. At Thompson’s Station, when Colonel Coburn of an Indiana regiment had tamely surrendered, he brought off the surviving forces, saving the artillery and baggage, and fighting heroically against a force of 5000 cavalry, led by Nathan Bedford Forrest. At the moment when General Bragg’s army was retiring across the Cumberland mountains at Cowan, Tennessee, Colonel Jordan and his command charged and captured over five hundred prisoners. In the Battle of Chickamauga, when ruin was impending on other parts of the field, he heroically defended the right of Maj. Gen. George H. Thomas, enabling that gallant soldier to stem the tide of disaster. His conduct so impressed Thomas that he asked President Lincoln to promote Jordan in recognition of his meritorious service at Chickamauga. He fought and defeated Brig. Gen. George Dibbrell’s cavalry at Reedyville, though the latter was at the head of a force of 2500 men. He was active in the campaign against Longstreet in East Tennessee in the winter and spring of 1863-64, and fought in the battles of Mossy Creek, Dandridge and Fairgarden. In the battles of Lafayette, Dalton, Kenesaw, Big Shanty, Resaca, New Hope Church, Peach Tree Creek, and in front of Atlanta, Colonel Jordan was constantly engaged. When the enemy finally retreated, he followed close upon the trail and was sharply engaged with Wheeler’s troopers at Jonesborough and Lovejoy’s Station. He was placed in command of the First Brigade of the Third Division of the cavalry in the March to the Sea, with which he met Wheeler at Lovejoy’s Station, and after a sharp engagement routed him and captured all his artillery, retaining the pieces which were of superior quality in his command until the end of the war. He again defeated Wheeler at Waynesburg, Georgia, where he led his brigade in a charge upon the enemy’s position, and ended the fight before the reserves, sent to his relief, could arrive. He first invested Fort McAllister near Savannah, driving the rebels within their works, and was only prevented from carrying them by assault by the arrival of General William B. Hazen, with his division of infantry, who superseded him in command. On the march through the Carolinas Colonel Jordan crossed the Savannah River in advance of the infantry at Sister’s Ferry, and covered the Left Wing of Sherman’s army under command of Maj. Gen. Henry W. Slocum. His position in the column on the march north was such that he was brought often to severe conflict. He led the charge at Blackville, dislodging the enemy from the town. He held the position at Lexington, protecting the flank of the infantry, while Columbia was being occupied. With Wheeler and Hampton he had a stubborn action at Lancaster, and crossing into North Carolina led the advance to Fayetteville, daily and hourly skirmishing heavily. The Battle of Averasboro, fought on March 16, 1865, opened early in the day. Jordan’s brigade fought unaided until two in the afternoon, when the infantry of the Twentieth Corps came to his assistance. In this action, every twelfth man in his entire force was either killed or wounded. At Bentonville, he held the left flank, and participated in all the movements of the day. In the advance against Raleigh he again had the lead, and entered the city on the morning of April 12th, 1865. On passing through, he found that the rebel cavalry was ready for action on the Hillsborough road, and at once moved forward to the attack, driving them before him the entire day. At Morristown he was met by a flag of truce, with a letter for General Sherman from General Joseph E. Johnston, proposing to surrender, when fighting ceased. Jordan was brevetted to brigadier general of volunteers for his long and meritorious service in February 1865. The 9th Pennsylvania Cavalry, and Jordan with it, was mustered out on July 18, 1865. He had married before the war and he corresponded extensively with his wife, Jane, during the war. After the war, he briefly returned to the legal profession in Harrisburg. A few years later, he went into the lumber business in Williamsport, Pennsylvania, but the business eventually failed. Perhaps due to his advanced age, he secured a position with the U. S. Post Office and then transferred to the U. S. Mint in Philadelphia. He died in Philadelphia on April 2, 1895 and was buried in Section 11, Lot 19 of the Wilmington and Brandywine Cemetery in Wilmington, Delaware. He was seventy-four years old. Jordan was an able field commander who was well thought of by his superiors and respected by his men. Except during his time as a POW, he was constantly in the field with the 9th Pennsylvania Cavalry, in spite of bad health that often compelled him to accompany his command in an ambulance. Here’s to forgotten cavalryman and Dickinson College alum, Bvt. Brig. Gen. Thomas Jefferson Jordan. My friend and fellow student of the 1865 Carolinas Campaign, Col. Wade Sokolosky (U. S. Army), sent me an e-mail from Afghanistan today. Wade’s been in Afghanistan for four months now, and has another eight months to go. He was recently promoted to full colonel from lieutenant colonel, and is career Regular Army. He’s the sort of guy that we Americans owe a great deal to, and I am always conscious of that when I talk to him. Along with his good friend Maj. Mark Smith (U. S. Army, retired), Wade is one of the two authors of a terrific book titled “No Such Army Since the Days of Julius Caesar”: Sherman’s Carolinas Campaign from Fayetteville to Averasboro, which Ironclad published several years ago. It’s the only book-length tactical study of the Battle of Averasboro, which was a classic defense in depth in the style of the Battle of Cowpens or the Battle of Guilford Court House. Despite being deployed to Afghanistan, Wade has managed to put together and launch his own web site for the first time. It can be found here. The site includes lots of useful and interesting information about the Carolinas Campaign and about the Fayetteville Arsenal. I commend both Wade’s book and Wade’s site to you. I’ve added a link to the site. Great site, Wade. And thanks for your service. I Feel a Rant Coming On…. It’s been quite a while since I’ve had a full-blown rant about something. This one’s been building all day. However, it has absolutely nothing to do with the Civil War, so be warned when you read it. An annual event that I dread like the plague happens this Saturday. Like the coming of spring and the fall of the first snow, it happens every year, and every year, I cringe and want to hide. Saturday is the first Ohio State football game. OSU football is a bizarre and terminal disease for which there is no cure. It afflicts otherwise normal people and turns them into blathering, drooling idiots singing along to “Hang on Sloopy.” This is a city of more than 1.5 million people. It’s a state capital. It’s home to a number of Fortune 100 corporations. We’re in the middle of one of the most important presidential elections of this country’s history. And what’s the lead story on the news? The Buckeyes play Youngstown State on Saturday. Never mind that YSU is a Division IAA school and that OSU is going to whup them by 50 points. If they only beat them by 48 points, half of the faithful will be complaining that they didn’t score enough points and the other half will be calling for Jim Tressel to be fired. And it only gets worse as the season goes on. As I’ve said here previously, the week of the Michigan game is the height of the lunacy. It reaches a point where I can’t bear to turn on the TV. There could be a catastrophe in another part of the world where tens of thousands of people die, and the Buckeyes’ practice session that day will still be the lead story on the news. It’s insane. Somebody dropped something off at the title agency down the hall today, and as he was leaving, he called out, “Go Bucks!” He didn’t look happy when nobody responded. My favorite, though, is the “O-H”/”I-O” cheer. Somebody says “O-H” and you’re supposed to respond with “I-O”. It strikes me as kinda like a salute followed by a return salute, and if you don’t do it, you get dirty looks. I categorically refuse to play that game, and I don’t respond. I get some really strange looks, like there’s really something drastically wrong with me, but I (a) despise this ridiculous nonsense and (b) enjoy tweaking them a little bit by refusing to comply like a mindless drone. One of the guys I used to practice law with actually had the basement of his house finished a couple of years ago to resemble Ohio Stadium. The place is completely scarlet and gray and is filled everywhere with OSU crap. My favorites are the ones who buy gray cars–often VW New Beetles–and then spend large sums of money to make them look like OSU football helmets. Mind you, these are grown adults acting like children. It’s pathetic. What is it about this nonsense that makes otherwise intelligent, thoughtful people act like a herd of idiot lemmings and go over the cliff? I just don’t get it. I never will. I Have an Inimitable Pen! Even though the title is probably one of the longest in history, the book itself is 510 pages long, illustrated, and zeroes in on the massive planning and implementation of Lee’s retreat. Logistically an ongoing nightmare to move a large army in what was termed relatively unfamiliar and unfriendly territory, in an effort to get to somewhere safe, all the time being still pursued by the enemy. Mr. Wittenberg, along with co-authors J. David Petruzzi whose specialty is cavalry actions, and Michael F. Nugent, a relative newcomer to the publishing arena, outlines the problems of cavalry placement and materiel moving, as well as the numerous engagements which the retreating army was forced to stop and fight. The off and on fighting resulted in additional casualties, which added the necessity of burying the dead in the midst of the retreat. It looks like a promising book of details in a little known aspect of the war. Thanks for the very kind words and the laugh, Martha. Both were appreciated very much. Last week, I unexpectedly received an e-mail from a fellow named Paul Stokstad. Mr. Stokstad was writing to invite me to join Newspaper Archive.com, his employer. Let me say thank you to Mr. Stokstad for the free membership, which was most unexpected, but gratefully accepted. I’ve had a chance to noodle about the site a bit and to do a few searches. There are thousands of old newspapers digitized here, meaning that this is an incredibly useful research tool for anyone interested in researching historical newspapers, as I often am. There are lots of really obscure papers here that are not available anywhere else, meaning that I will be able to tap resources that I’ve never accessed previously. I have to admit, though, that I was genuinely shocked that there is not a single Philadelphia newspaper available in the database, which was really surprising. With all of the really obscure papers available, you’d think that the newspapers of a major city would be there, but there’s not a single one available. The site is user-friendly, and it has a powerful search engine. This is a site where I expect to spend a LOT of time over the coming months, and I commend it to you. There are three major corporations that I absolutely despise. I absolutely and categorically refuse to do business with two of them. Unfortunately, I am forced to use the third’s products, whether I want to do so or not. I hate Microsoft because of its crappy software and its monopolistic tendencies. I use its products because I have to, not because I have any desire to do so. I refuse to do business with Starbucks. I don’t drink coffee anyway, but I find their predatory tactics of specifically targeting locally owned business to drive them out of business disgusting. The third is the Walton empire. Wal-Mart is notorious for forcing its way into communities and killing off local businesses, whether it’s wanted or not. In many instances, it’s not wanted, but it matters not to Wal-Mart. The latest atrocity by Wal-Mart is probably the most unforgivable of all: it wants to build one of its superstores ON the Wilderness battlefield, regardless of the historical significance of the ground, and regardless of what the community might have to say about it. It MUST be stopped. THE WILDERNESS, Va. Plans for a Wal-Mart Supercenter on the Wilderness battlefield have prompted a coalition of preservation groups to deliver a shot across the mega-store’s bow. The 145,000-square-foot facility would be sited on a 55-acre tract in Orange County, north of the intersection of routes 3 and 20. 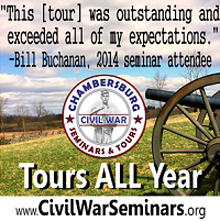 The site lies immediately across Route 3 from Fredericksburg & Spotsylvania National Military Park. In hopes of warning off Wal-Mart, the Civil War Preservation Trust (CWPT) has rallied a coalition of groups to send a joint letter citing their opposition to the plan. Trust spokesman Jim Campi said the letter was mailed on the July 4 weekend. Campi said of the Supercenter, “This is just going to be a magnet for sprawl.” Besides the Wal-Mart itself, he said there are plans for a large parking area and “two baby box stores” on the site. Leading the charge against the Wal-Mart plan are CWPT and the Warrenton-based Piedmont Environmental Council. Their “Wilderness Battlefield Coalition” also includes the National Trust for Historic Preservation, the National Parks Conservation Association, Friends of the Wilderness, and Friends of the Fredericksburg Area Battlefields. Representatives of all six organizations signed the letter. The letter states that the battle of the Wilderness, fought May 5-6, 1864, “marked the first clash between legendary Civil War generals Robert E. Lee and Ulysses S. Grant.” More than 160,000 troops were engaged and nearly 29,000 were casualties. Campi said Wal-Mart will need a special use permit in order to go ahead, and that will entail public comment. As of mid-July no dates had been set for a hearing. Campi said CWPT members will be kept apprised of the Wal-Mart project on the Trust’s Web site, civilwar.org. The CWPT is leading the way on this. For more information, including steps that you can take to help stop this abomination, click here. More than two years ago, I breathlessly announced that I was leaving a law firm where my name was on the door as a named partner to join another law firm. I was very excited about the prospect, as I really thought it was going to be a good opportunity for me. It turned out not to be for a lot of reasons, not the least of which is that the law firm has an unworkable compensation plan, and I couldn’t afford to stay there (I’m not alone; two others have left for pretty much the same reason). That was my third attempt at trying to be a partner in a law firm, and all were bad experiences. At the end of March 2007, I went back out on my own. I have been operating as a sole practitioner since that time. That has had its pluses and minuses. On the plus side, it’s given me the freedom to come and go as I please without anyone to answer to. The down side is that I have had no resources whatsoever available to me. I have no secretary, and no support staff at all. While that’s been okay, it also means that there are distinct limits to what I can accomplish alone. And, there’s also the fact that the types of business clients that really want to attract often have the perception that a lone ranger like me doesn’t have the resources to provide for their needs. Consequently, about the end of the year last year, I came to the conclusion that I had to find a firm to join. Given my prior bad experiences, I figured it would take time and that it would be a challenge. Unfortunately, I was right. At the same time, the break-in last month was a real wake-up call. I’m still recovering from it, and it’s completely changed how I do things. I now carry my Mac laptop back and forth. I had to install Parallels Desktop on this computer, as well as Windows XP Pro, so I can run my billing and case management software safely; neither program has a Mac version, so I really had no choice. A couple of days after the break-in happened, I had a conversation with one of the owners of the building, and I told him that I firmly believed that the lack of a security light and a security system were the reasons why the break-in occurred, and that if they wanted me to stay in the building, they would have to put in some security. He told me that if that was what it took, he would see that it got done. To make a long story short, it’s now been 46 days since the break-in, and the smashed window still has not been replaced. I still have a plywood window. No security system has been installed, and I have been advised that no security system will be installed. The owners of the building apparently think that it’s more important to install a new laminate floor that looks like hardwood in the entryway and lobby of the building than it is to protect their nearly million dollar investment, so that clinched it for me. I can’t be in a building where nobody but me cares about things like security, and I likewise can’t imagine staying in a place where the concerns of the tenants are of so little concern. I gave thirty days’ notice on August 1, and I will be moving out of the building the day after Labor Day. I will be joining an existing law firm in the Columbus suburb of Pickerington in an “of counsel” capacity. That means I will continue to maintain my independence while still having the resources of a law firm behind me. My overhead will actually go down, and I will have secretarial services and a receptionist, things I don’t have at present. And the building has security. I’ve known the owner of the firm for nearly 20 years, and we’ve had a couple of shared clients. He’s a good guy, and I’ve long wanted to practice with him. If all goes well, we will form a partnership. If not, I will continue on as a sole practitioner. I have a lot to do between now and then to get ready for the move, so my frequency of posting may drop a bit. Please bear with me. I will be back as usual after the move is completed. I hate it when my job interferes with my hobbies, but sometimes, it just cannot be helped. This is one of those instances.